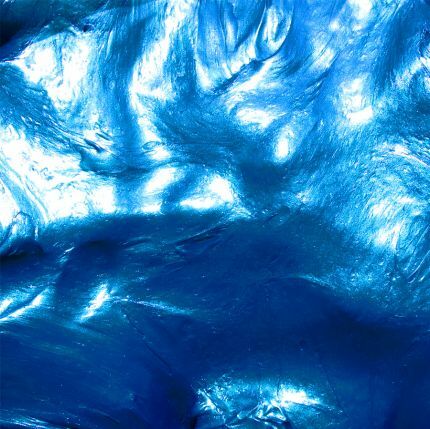 Think liquid metal or a blue morpho butterfly. 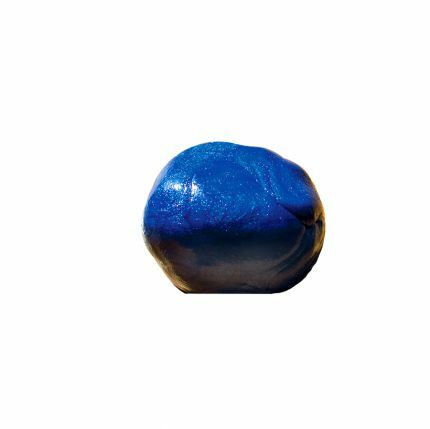 In developing this Glux, we came upon a word for blue: “hoovaloo,” meaning an intelligent blue. 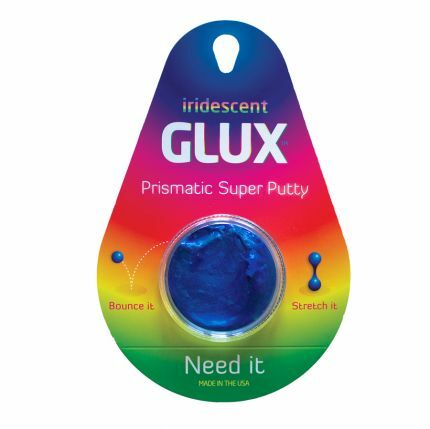 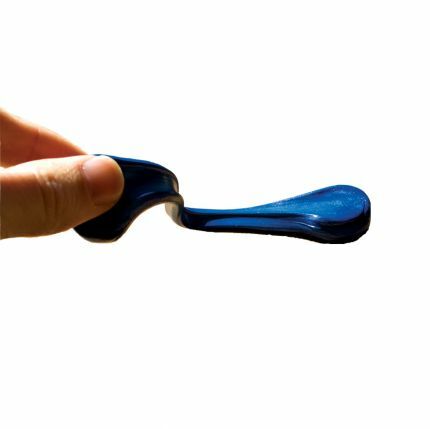 this GLUX is just full of intelligent blues as well as a spectrum of other colors.It’s quite beautiful to look at & satisfying to smush & stretch.Made in the USA.